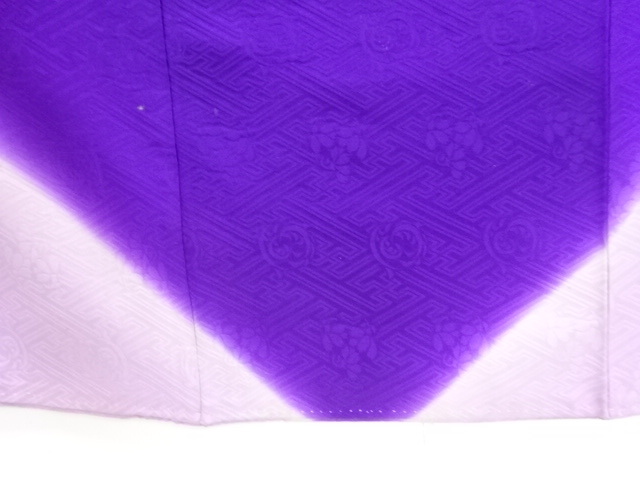 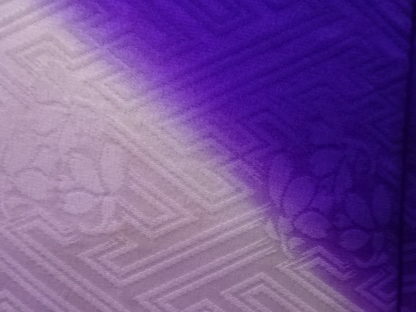 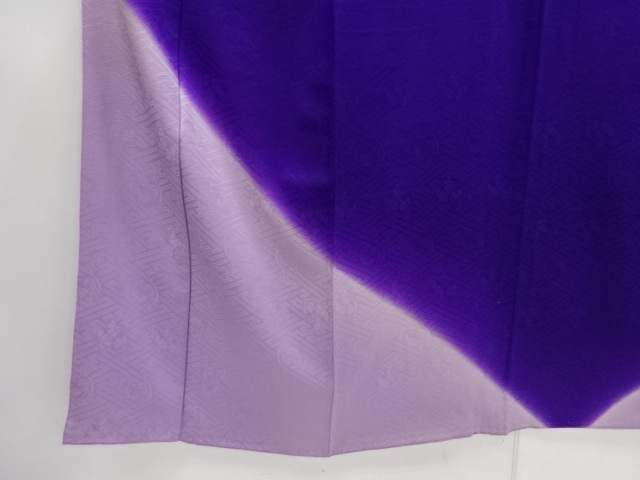 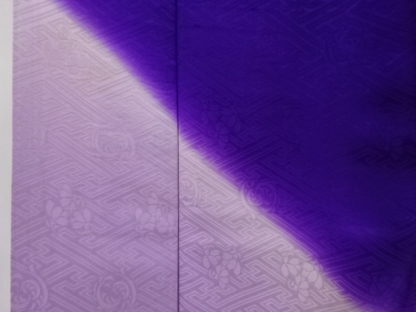 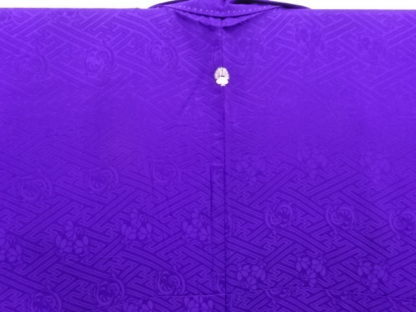 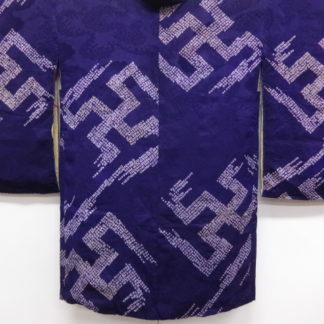 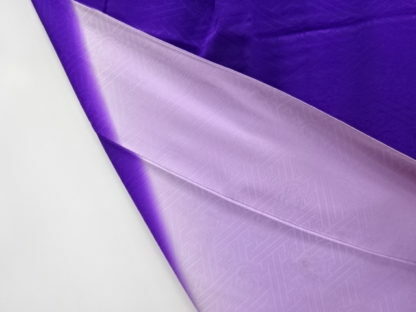 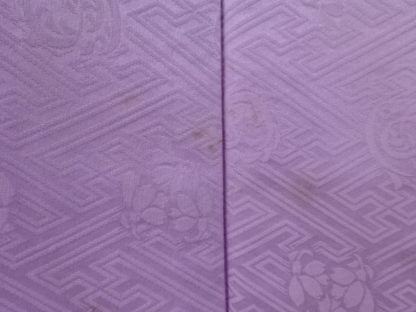 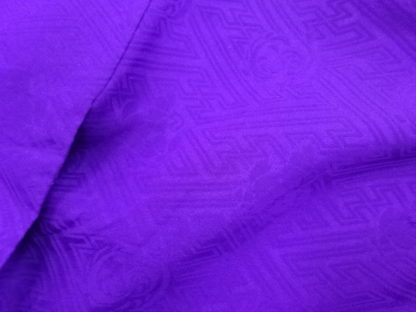 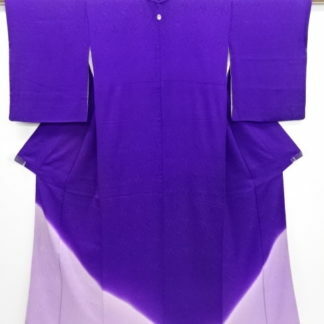 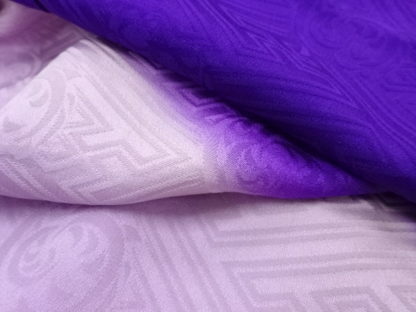 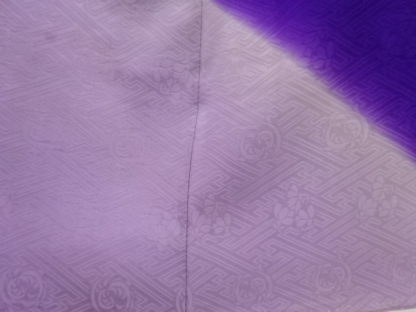 This gorgeous antique chirimen silk kimono is stunning – the bold rich purple dyed section floats above the pure white lower area like a deep pure evening sky over white mountain tops. The photos don’t do justice to the rich deep purple, which is not so blue as in the images, rather a deep crocus purple. 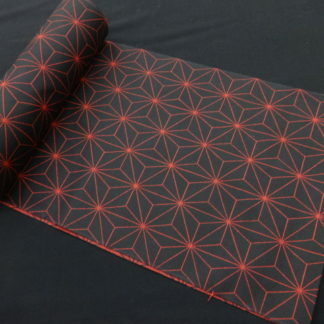 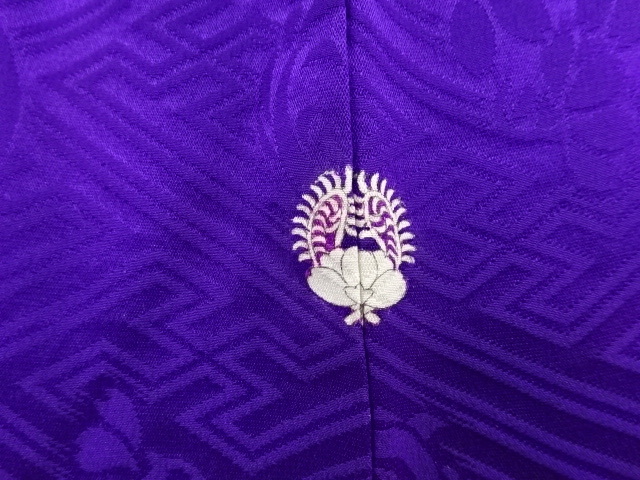 The woven sayagata pattern adds to the elegance of this lovely one mon (crest) piece. 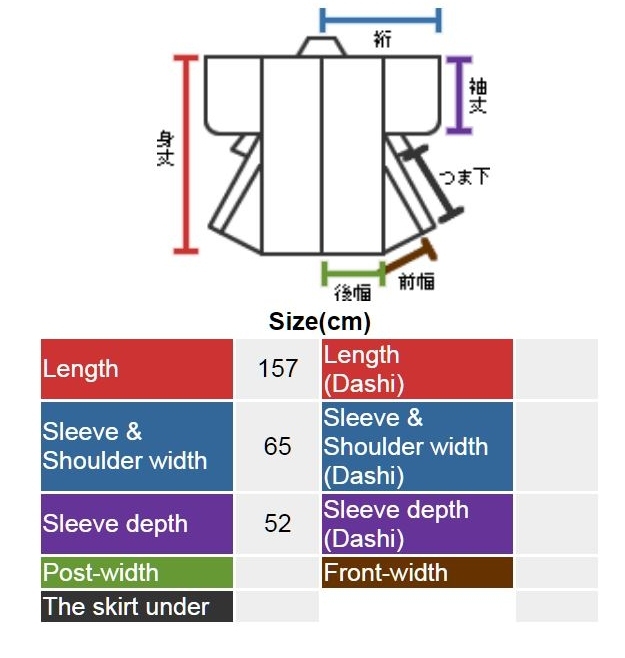 It is in excellent condition and measures 157 cm long, 65 cm from centre seam to sleeve edge, and the sleeve drop is a big 52 cm. 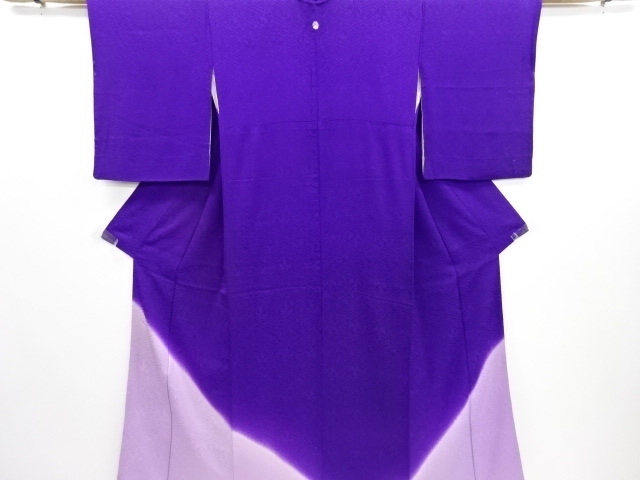 A real show stopper! 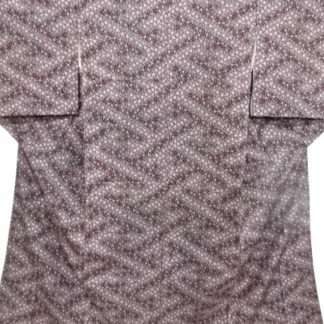 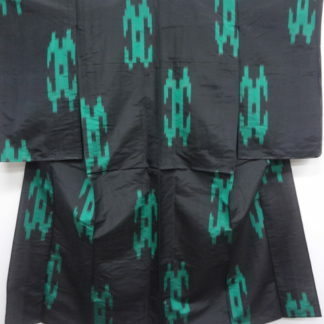 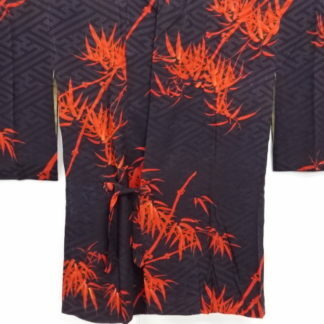 This is a heavy kimono as well. You’ll be wrapped in luxury!